The Lengua Road, Moruga continues to be affected by landslips. Photo via Facebook, Moruga MP Dr Lovell Francis. 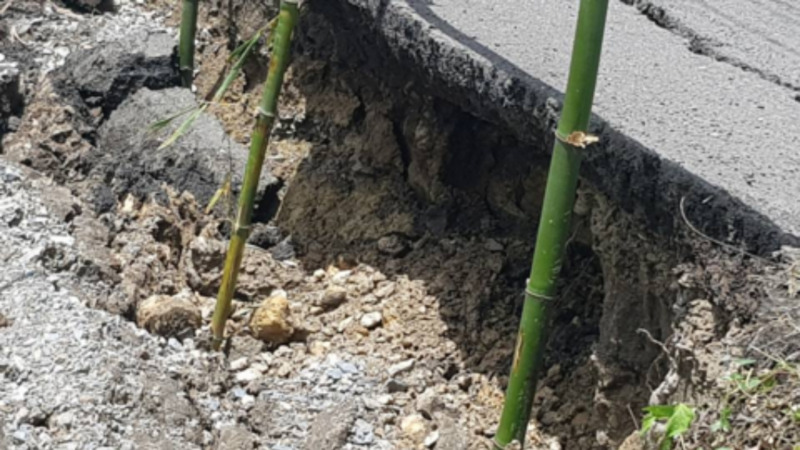 A temporary fix is expected to be put in place at Indian Walk, Moruga following worsening road conditions caused by landslips in the area. 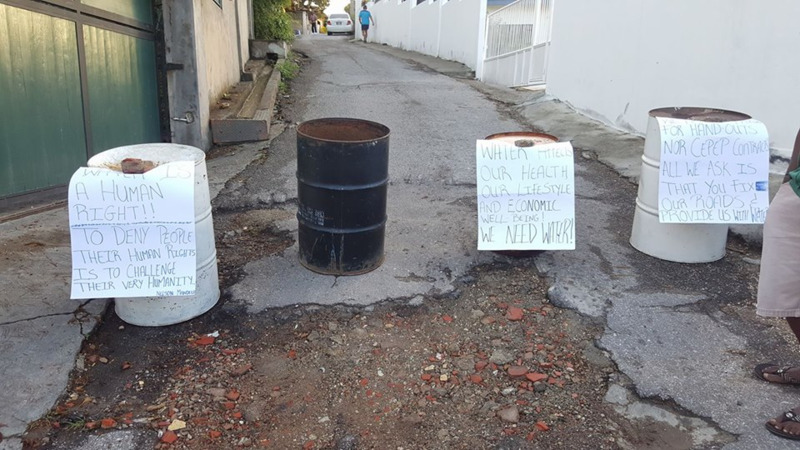 Residents along the Lengua Road on Monday staged a protest, demanding the immediate repair of the damaged roadway. Responding to a question in the Senate on Tuesday, Works and Transport Minister Rohan Sinanan said Monday’s fiery demonstration was spurred on by a leak on a WASA pipeline which caused severe damage to the base of the landslip, ultimately leading to further slippage of the land. Sinanan said a temporary fix of base coat and hot mix would be applied, with a view of incorporating the short-term fix in the Ministry’s Bridges and Landslips Programme for a more permanent fixture. 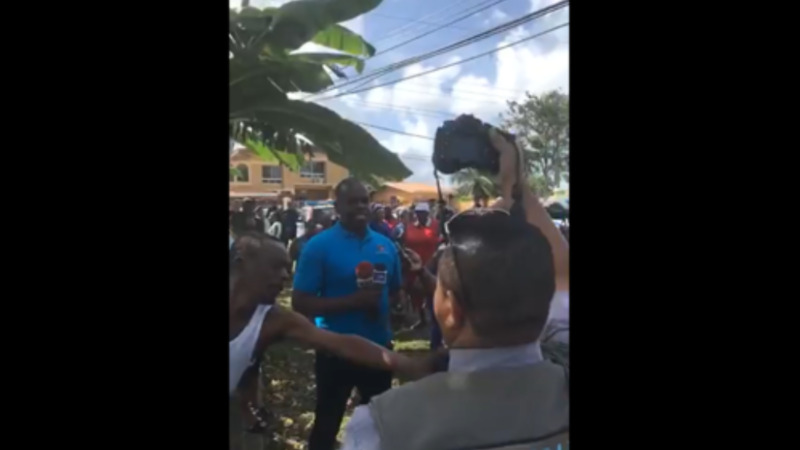 The Minister indicated that a resident whose home was badly damaged as a result of the landslip was vacated with the assistance of the Housing Development Corporation (HDC) as well as the Moruga MP, Dr Lovell Francis. 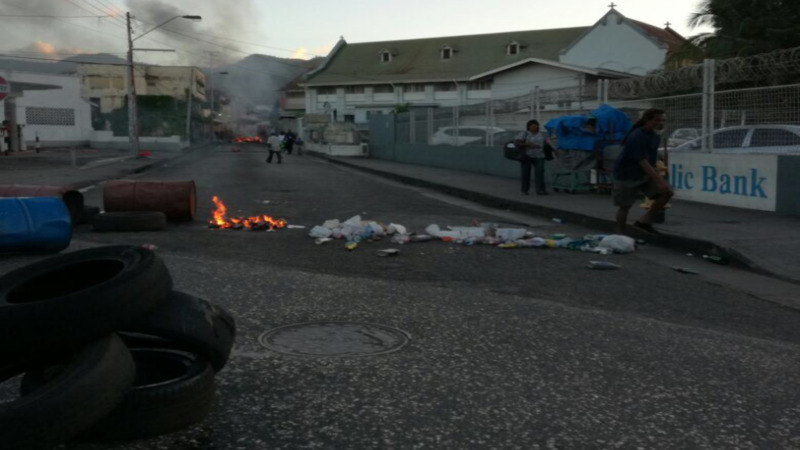 A team of technicians were dispatched on Monday to assess the damage, and remedial work is expected to begin shortly.